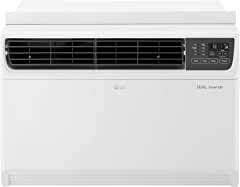 In time for warmer weather, LG Electronics USA has expanded its award-winning line of energy-efficient dual-inverter room air conditioners with the launch of a new 14,000 BTU Smart Wi-Fi-enabled Portable Air Conditioner, joining three window models ranging from 9,500 to 22,000 BTUs. Thanks to the company's proprietary Dual Inverter Compressor™ technology, LG is the first in the United States to offer variable-speed compressor room air conditioners in the United States, which deliver quiet, advanced cooling with a 40 percent improvement in energy efficiency on its best-performing model. LG's unique dual-inverter room air conditioner technology earned the 2019 and 2018 ENERGY STAR® Emerging Technology Awards and was just honored with a coveted 2019 Gold Edison Award, the highest honor in the Energy & Sustainability category for its "breakthrough technology and energy efficiency..."
Twentieth Century Fox Home Entertainment presents LOST IN SPACE, The Complete First Season, arriving on Blu-ray™ and DVD June 4. 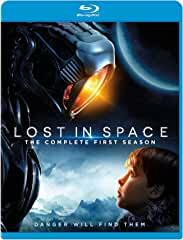 Set thirty years in the future, this epic reimagining of the original family space adventure ­finds the Robinsons torn off course en route to what they hoped would be a fresh start on a distant space colony. Against all odds, but with endless hope and extensive training, the family bands together to survive on a dangerous alien planet. PulseTech’s most popular SolarPulse Battery Chargers (SP-2, SP-5 and SP-10) have been replaced with more efficient versions that offer increased wattage to charge, maintain and desulfate lead-acid batteries in vehicles and equipment stored outside. Buses, trucks, cars, RVs, heavy construction equipment, generators, lawn equipment, boats, golf carts and emergency vehicles often experience a loss of battery power from sitting unused or show a gradual deterioration of battery quality over time as sulfation crystals form on the battery plates preventing maximum power and shortening battery life. 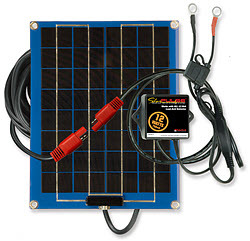 These new more powerful SolarPulse Solar Charger Maintainers solve these problems by dramatically reducing jump starts, increasing battery power and extending battery life by as much as three times. 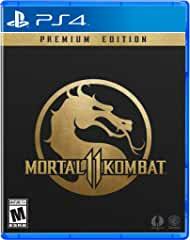 Warner Bros. Interactive Entertainment announced that Mortal Kombat 11, the latest entry in the renowned franchise from award-winning NetherRealm Studios, is now available for PlayStation®4 computer entertainment system, PlayStation®4 Pro computer entertainment system, the Xbox One family of devices including the Xbox One X, Nintendo Switch™ system and PC. Mortal Kombat 11 follows the events of Mortal Kombat X and introduces a time-bending narrative bringing together iconic characters from different Mortal Kombat eras, along with various franchise-first fighters, culminating in the ultimate generational clash as current characters collide with their past selves. Mortal Kombat 11 also debuts the innovative Custom Character Variation System, which offers nearly infinite customization options for players, providing a deeper and more personalized experience than ever before. 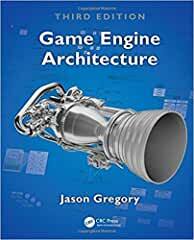 CRC Press has published Game Engine Architecture, Third Edition. As a member of The Guess Who, Bachman was part of the first ever No. 1 on the Billboard Hot 100 by a Canadian band with "American Woman / No Sugar Tonight," and then topped the Hot 100 again in 1974 with another band, Bachman-Turner Overdrive, with "You Ain't Seen Nothing Yet." "That's a pretty rare thing for a recording artist who gets two No. 1s with two different bands," notes John Einarson," biographer and music historian, at the start of the new documentary, Bachman, chronicling the life of this 74 year old who is still regularly making music and performing. 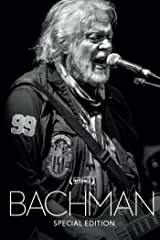 The film follows Bachman as he looks to the past for inspiration from rarely seen footage, pictures and documents that have been stored at the National Archives in Ottawa for decades. 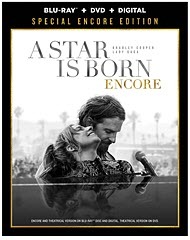 Warner Bros. Home Entertainment announced today that the extended cut of Bradley Cooper’s global hit “A Star Is Born,” “A Star Is Born Encore” will be released on Blu-ray and Digital on June 4 with nearly 12 minutes of extended performances, intimate jam sessions with Jackson and Ally and all-new scenes. TRIPLE THREAT, directed by Jesse V. Johnson, is a thriller teams over half a dozen of the world’s biggest action stars for the martial arts event film of the year. When a hit is taken out on a billionaire’s daughter, it’s mercenaries versus assassins in an all-out war. 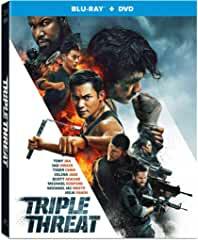 Starring Tony Jaa, Iko Uwais, Tiger Chen, Scott Adkins, Michael Jai White, Michael Bisping, Celina Jade, and Jeeja Yanin, TRIPLE THREAT is currently available now on digital platforms and then as a Blu-ray + DVD combo pack and DVD only on May 14th from Well Go USA Entertainment. The Blu-ray + DVD combo pack features a bonus interview with the cast. Executive produced by all-star athlete and best-selling author Tim Tebow alongside his brother Robby Tebow, the inspiring hit film RUN THE RACE debuts on Blu-ray and DVD at Walmart as well as on Digital, On Demand and via the digital movie app Movies Anywhere on May 21, 2019 from Universal Pictures Home Entertainment, in partnership with The WTA Group, Reserve Entertainment and 10th Leper Productions. A faith film everyone will enjoy, the family drama tells the exciting journey of two high school athletes and brothers who see their relationship tested as they seek different paths out of their troubled lives. 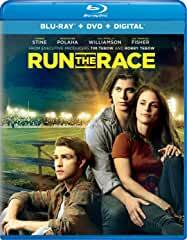 The Tebow brothers' feature film debut, RUN THE RACE was one of the top 10 grossing films during opening weekend. Additionally, the film will be available on Blu-ray™ and DVD at all retailers nationwide on June 18. 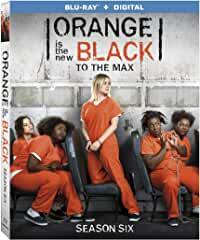 The inmates of Litchfield Penitentiary that you’ve come to know and love are all headed to the “max” when “Orange Is the New Black”: Season Six arrives on Digital June 10 and on Blu-ray™ (plus Digital) and DVD June 11 from Lionsgate. 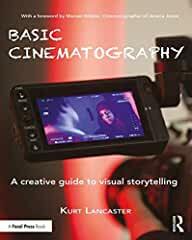 Focal Press has published Basic Cinematography: A Creative Guide to Visual Storytelling, 1st Edition. The cinematographer must translate the ideas and emotions contained in a script into something that can be physically seen and felt onscreen, helping the director to fulfil the vision of the film. The shots may look good, but they will not serve the story until the composition, lenses, and lighting express, enhance, and reveal the underlying emotions and subtext of the story. By making physical the ideas and emotions of the story, the cinematographer supports blocking as a visual form of the story through these tools. 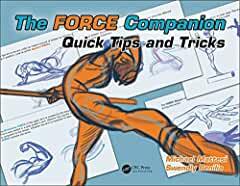 CRC Press has published The FORCE Companion: Quick Tips and Tricks, 1st Edition. The Nacelle Company announced today that it is releasing seasons 1 & 2 of the acclaimed Netflix series, The Toys That Made Us on DVD on May 7, 2019 through Screen Media. The box set will include previously unreleased bonus footage. 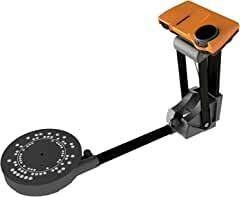 Scan Dimension®, developer of 3D scanners, imaging, and realization technology, today launches SOL, an easy-to-use 3D scanner for the everyday maker, technology enthusiast, and hobbyist. Accurate, portable, and affordable, SOL creates detailed, precise 3D models of scanned objects.